As much as 75 percent of the energy spent by some popular smartphone apps, such as Angry Birds and Fchess, is spent on marketing and advertising aimed at you. That's what some first-of-its-kind research will reveal next week in a paper to be presented by a team of scientists from Purdue University and Microsoft at EuroSys 2012 in Bern, Switzerland. "It turns out the free apps aren't really free because they contain the hidden cost of reduced battery life," one of the Purdue researchers, Y. Charlie Hu, said in a statement. Hu, colleague Abhinav Pathak, and Microsoft's Ming Zhang noted in their paper [PDF] that free apps like Fchess and Angry Birds spend under 25 percent to 35 percent of their energy on game play, but more than 65 percent to 75 percent on user tracking, uploading user information, and downloading ads. In their paper, the researchers describe a tool they've developed to precisely measure energy consumption within Android and Windows Phone mobile apps and show how that tool, called Eprof, can be used by developers to reduce the power consumption of their apps by as much as 65 percent. "Eprof tells you how much energy is spent where," Hu explained. A smartphone app can contain tens of thousands of lines of code, broken down into subroutines, threads, and processes. Eprof maps how much energy comes from each component. It offers researchers and developers a new way to study smartphone energy consumption without using expensive equipment such as a power meter. "This is the first tool of its kind ever developed for modern smartphones," Pathak said. "We've seen around one million apps written since smartphones emerged roughly five years ago, but there has been no systematic way for the developer to see how much energy the different components consume. Using this tool, you can see what should be changed to improve energy efficiency." Not only is that good news for developers in the app market--which is expected to reach $38 billion by 2015--but for consumers, too, who should see more efficient apps in the market. 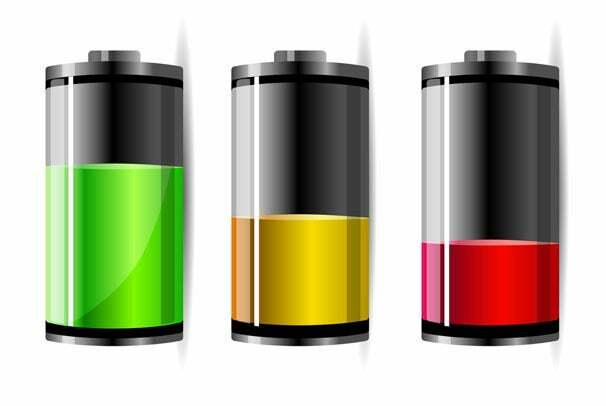 "Despite the incredible market penetration of smartphones and exponential growth of the app market, their utility has been and will remain severely limited by the battery life," the researchers wrote. "As such, optimizing the energy consumption of millions of smartphone apps is of critical importance," they added. "However, the quarter-million apps developed so far were largely developed in an energy oblivious manner." Apps can waste energy in a number of ways, such as through programming bugs and "tailing." For example, the research team discovered some advertising software embedded in a game that failed to close its connection to the Internet. That forced another program to clean up for it, wasting energy in the process. Tailing occurs when a connection to the cellular network isn't immediately cut by an app. As much as seven seconds of power per interaction can be wasted that way. That power drain can take its toll on a battery, especially when playing interactive games over a 3G network.